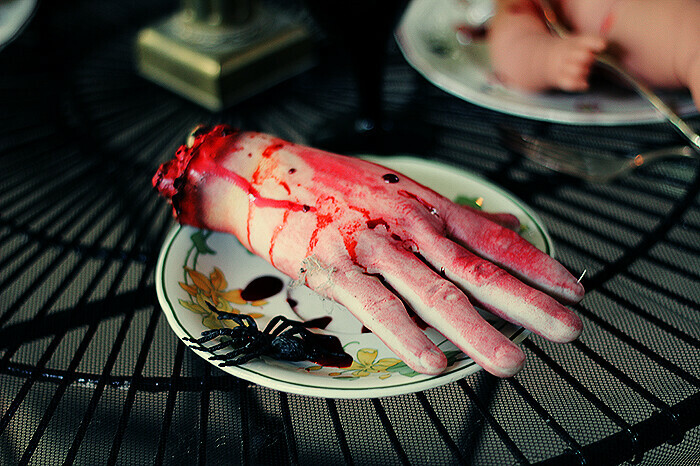 Dismembered babies, severed hands, butchered human feet, a lone corpse, spiders, cobwebs, zombies and lots and lots and blood. 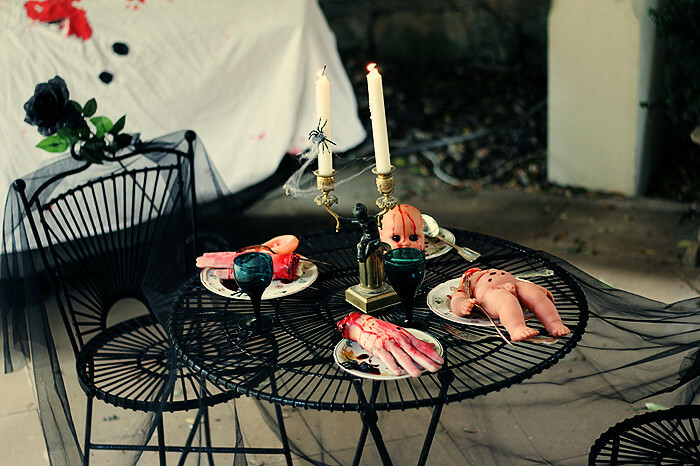 My final Halloween 2011 post~ These are my home decorations for Monday night. I think we get more gruesome every year. 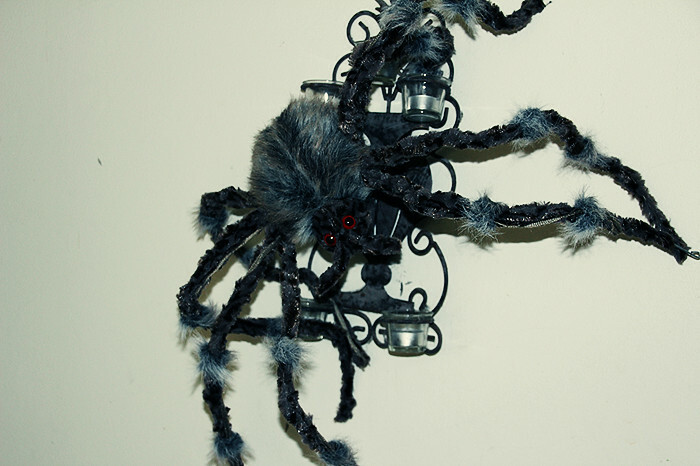 In fact one parent of a very little trick-or-treater said it was too gory for their child to be looking at. Mission accomplished! 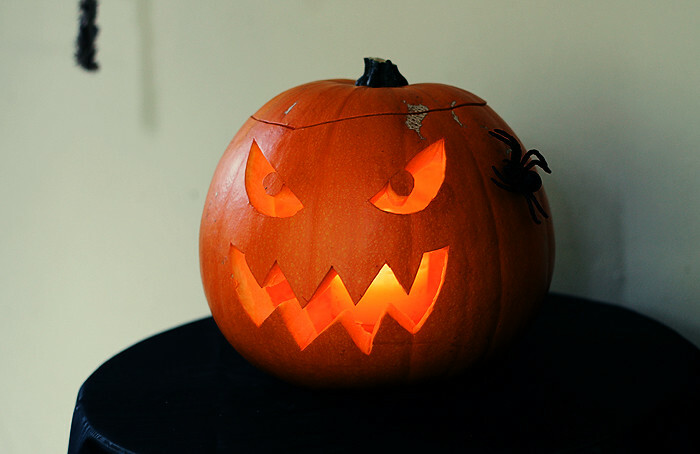 For those of you who celebrate halloween, who or what did you go as this year? What festivities did you get up to? and if you have any posts covering them, be sure to link me below. Happy Halloween everyone! P.S. what do you think of my pumpkin? Did I mention I carved THREE pumpkins over halloween weekend? I think it’s my record to far. oh my god, those decorations are the greatest! 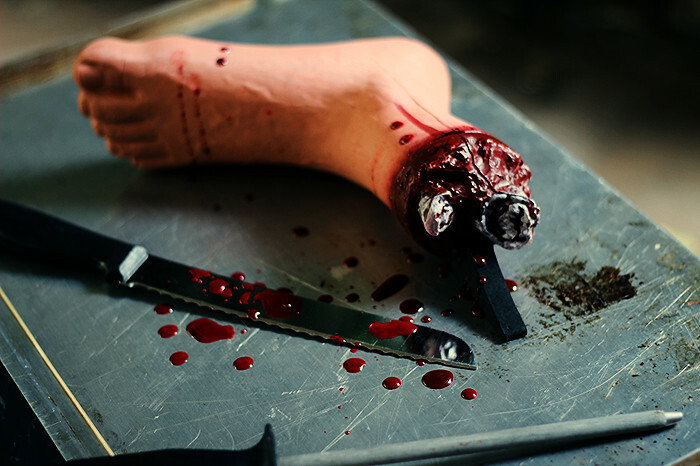 Sweet pumpkin and foot!I've always had a thing for dismembered, bloody, body parts. Yum. Goodness, the decorations are so close to looking like the real thing! Not like I've seen the real thing! I've always wanted to carve a pumpkin! Niiice, very good with the decorations. 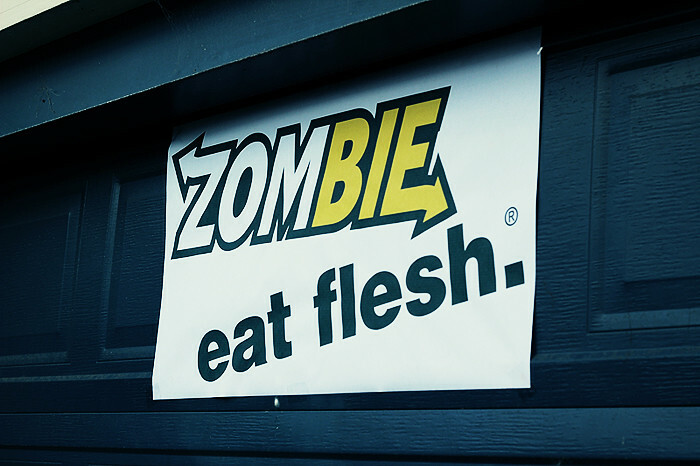 I love the Subway, eat flesh sign, very amusing haha. I didn't do anything at all for halloween, too swamped with final uni work.